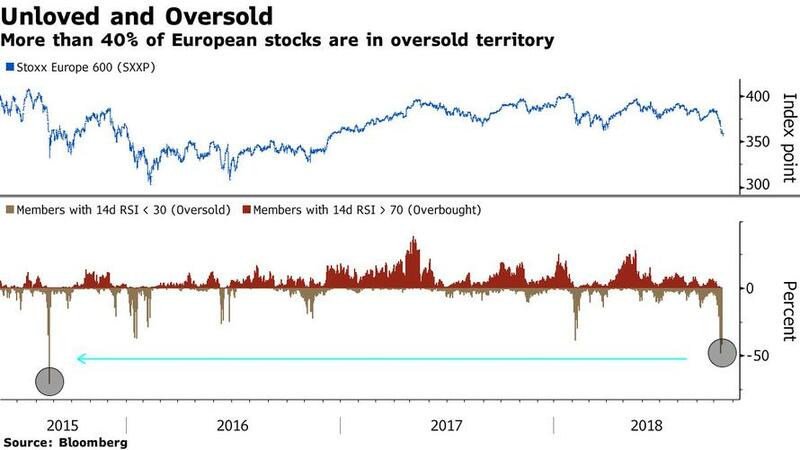 Overall sentiment in Europe remains downbeat, however, with 42% of the Stoxx Europe 600 members in oversold territory, while more than a third have been oversold for three days, which Bloomberg notes should have triggered a stronger bounce. Italian government bond yields fell as much as 12 basis points across the curve, narrowing the spread over German peers, after Italian Economy Minister Giovanni Tria defended the country’s deficit-hiking budget. The situation between the U.S. and the Kingdom of Saudi Arabia about the disappearance of journalist Jamal Khashoggi seems to have eased a bit with the kingdom cooperating with the Turkish authorities. Press reports suggested Saudi Arabia may admit the journalist died during a botched investigation at its embassy in Istanbul and blame rogue operatives. Nevertheless, U.S. President Donald Trump said he is uncertain if his administration will participate in a Saudi investment conference. As a result, Brent faded the recent move higher, trading around $80. Investors in aircraft manufacturers and defense contractors such as Airbus and BAE are keeping a close eye on the situation. 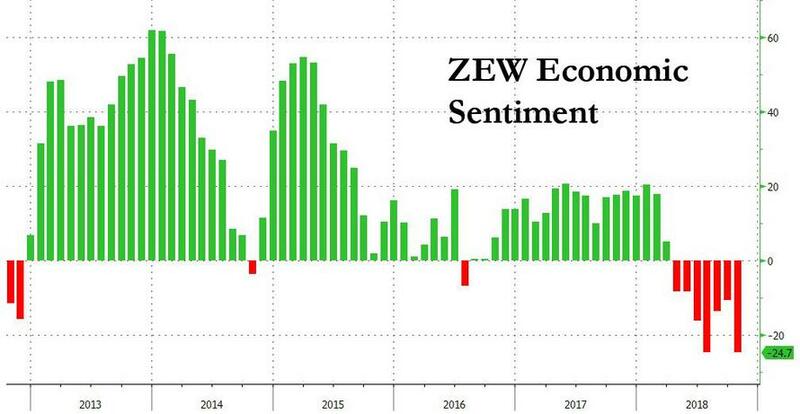 In Germany, investor optimism slumped back in October after a two-month uptick, with the Zew Economic Sentiment sliding to -24.7 from -10.6, below the -12.0 expected. Italy managed to agree on a budget at the last minute and submitted it to the EU for review as Finance Minister Giovanni Tria denied any talk of stepping down. The budget is set to see a deficit of 2.4%, as disclosed previously. Following in Italy's footsteps, Spain’s Socialist government is sticking to its pledge to widen its deficit targets in 2019. 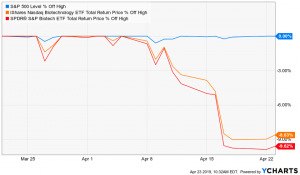 While the bid for haven assets appears to have ebbed, caution is still on display as investors look for any signal from corporates hinting at a slowdown or stronger growth that could affect the pace of Federal Reserve rate hikes. Earnings from Goldman Sachs Group, Morgan Stanley and Netflix are all due Tuesday, while minutes from the latest Fed meeting should offer more clues a day later. In the background, traders are still grappling with continuing U.S.-China trade war rhetoric and geopolitical strains. Cyclical stocks have done less well than defensive shares, which are seen holding up better during economic slowdowns - since the summer. Over the same period, robust U.S. data contributed to a slide in Treasuries. 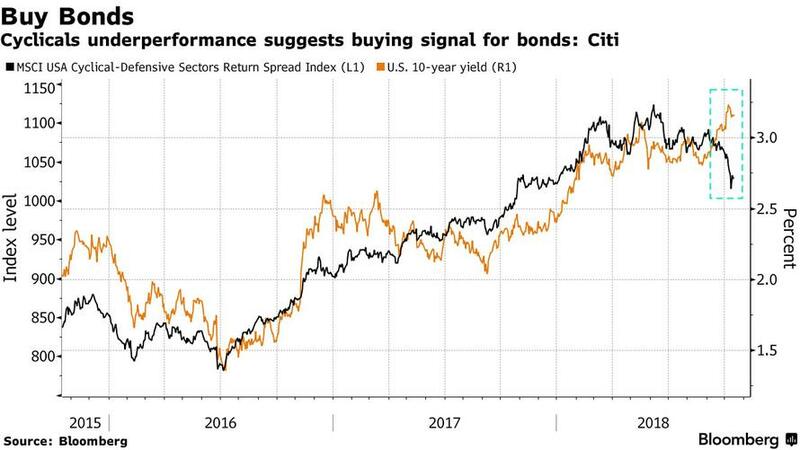 According to Citi, that divergence is unlikely to last, Bloomberg reports. Brexit remains firmly planted in the headlines, with European Council President Donald Tusk saying a no-deal Brexit is more likely than ever before to EU leaders ahead of their summit Wednesday. In contrast, Theresa May and Emmanuel Macron struck a positive tone. The pound is steady at $1.315. The Turkish lira was steady following seven days of gains after the country released U.S. pastor Andrew Brunson on Friday. 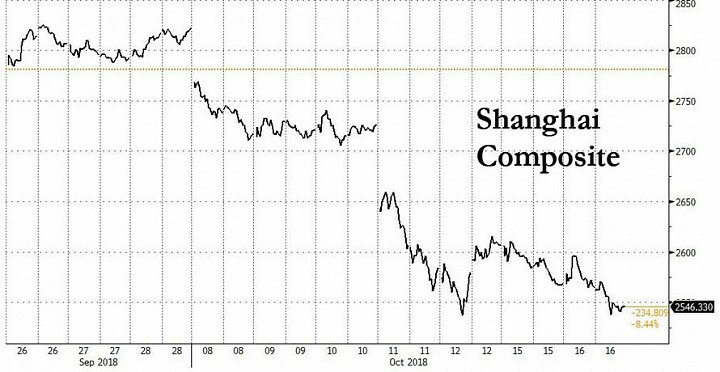 There was some focus was on the U.S. Treasury’s semiannual currency report due later in the day, with investors waiting to see Washington’s view on China after media reports last week that it has not labeled Beijing a currency manipulator. Elsewhere, gold is little changed while base metals are weaker, lead by copper down 1.4%. This may have an impact on miners which showed resilience in October. Expected data include industrial production and capacity utilization. BlackRock, Goldman Sachs, J&J, Morgan Stanley, IBM, and Netflix are among companies reporting earnings. President Donald Trump said he’s uncertain whether his administration will participate in a Saudi investment conference as CNN said the kingdom is preparing a report saying Jamal Khashoggi died as the result of an interrogation that went wrong. The topic of foreign-exchange rates isn’t usually a part of trade negotiations, says Japan’s finance minister Taro Aso following comments from his U.S. counterpart Steven Mnuchin that the U.S. wants a currency clause in a trade agreement with Japan. Italy’s fractured coalition government cobbled together a last-minute budget accord that starts delivering on costly election promises but risks a confrontation with Brussels over European Union fiscal rules. The helped Italian assets - two-year notes led gains across the curve while stocks rose for a second day. China’s local governments may have accumulated $5.8 trillion of off-balance sheet debt, or even more, suggesting further defaults are in store, according to S&P Global Ratings. 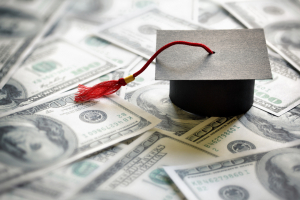 “The potential amount of debt is an iceberg with titanic credit risks,” the report released Tuesday said. Asian equity markets partially shrugged-off the US tech-led losses and traded mostly higher as focus shifted on earnings updates. ASX 200 (+0.5%) was led by mining names after the recent strength in gold prices and with Rio Tinto shares supported following its Q3 production update in which iron ore shipments declined Y/Y but the Co. affirmed FY18 shipments at the upper end of its guidance range. Elsewhere, Nikkei 225 (+0.6%) and Japanese exporters coat-tailed on favourable currency moves, while Shanghai Comp. (-0.2%) and Hang Seng (-0.4%) initially conformed to the upbeat tone as participants brushed aside continued PBoC liquidity inaction and took encouragement from the numerous corporate positive profit alerts, although Chinese bourses then failed to sustain the gains and gradually slipped into negative territory. Finally, 10yr JGBs were lower as they tracked weakness in T-notes, with prices also subdued by the improved risk tone in Japan and reduced demand at the 5yr JGB auction. Most major European indices (ex-FTSE 100) are in the green, with Italy’s FTSE MIB (+1.1%) outperforming its peers amid signals the Italian government is working together after the budget was approved by Parliament. Meanwhile, the UK benchmark is pressured by a firmer currency along with heavy-weight mining names following price action in the complex. Sectors are mixed, with utilities names outperforming while energy names lag given the recent slump in oil prices. In terms of individual stocks, Volvo shares fell over 5% after the detection of premature degradation of emission control components. On the flip side, Drax Group are up by over 4.5% after the company acquired a UK power generation portfolio with a proposed deal for GBP 702mln, while Altice share rose 5% following commentary that Co. has Mirova, Macquaries and KKR as frontrunners for a fibre JV. In FX, the GBP derived enough momentum from higher than forecast UK average earnings to breach 1.3200, albeit briefly amidst ongoing Brexit fall-out from the failure to clinch an agreement in time for this week’s EU summit that in turn was a prerequisite for another one in November to finalise a withdrawal deal. CAD/EUR/AUD were all narrowly mixed vs the Greenback, as the DXY continues to pivot 95.000, with the Loonie rebounding from recent 1.3000+ lows after a somewhat mixed BoC business survey on Monday (are rather redundant given that it was conducted pre-USMCA), while the single currency stalled around 1.1600 again and hampered by downbeat ZEW investor sentiment readings. Eur/Usd is just holding above 1.1565 lows, but could be drawn towards hefty option expiries at the 1.1550 strike (1.3 bn ahead of the NY cut). Elsewhere, the Aud did not get any independent support from RBA minutes largely sticking to a neutral stance, but has been caught in the cross-fire from relative Nzd outperformance as that pairing retreats through 1.0900 and 1.0850, plus ‘strong’ technical support between 1.0860-35 along the way. JPY/CHF: A reversal in fortunes for the safe-havens as Asia-Pac stocks put in a relatively resilient performance after recent heavy declines and with Usd/Jpy rebounding off a Fib (111.60) to trade back over 112.00, albeit now running in to decent supply said to be layered all the way up to 112.50. Note also, some big expiry interest containing the pair, with 3.1 bn from 111.60-75 and 1.3 bn at 112.50-65. The Franc has retreated from just shy of 0.9850 to meander within a 0.9900-0.9865 range. 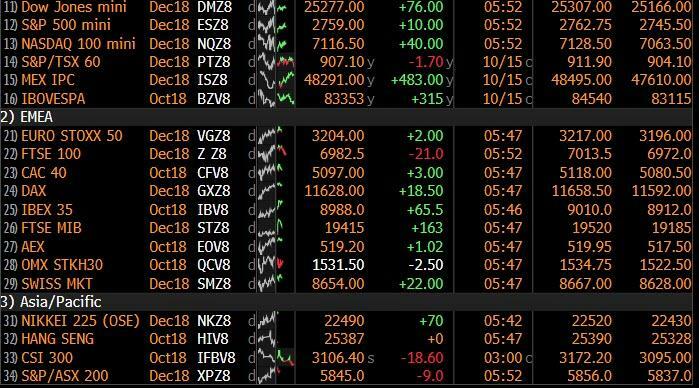 In commodities, WTI and Brent are both lower by over 0.5% with the prices approaching USD 70.00/bbl and USD 80.00/bbl to the downside respectively in anticipation of an increase in U.S inventories, where the EIA noted shale oil output is expected to rise to a record 7.7mln BPD in November. Traders will be keeping an eye on the weekly API crude inventory data released later today and any developments in Saudi in regards to the missing journalist. Gold is marginally higher in a continuation of market risk aversion as investors seek the yellow metal; with prices pivoting near two-and-a-half month highs. Elsewhere, copper slid 1.5% with the red metal facing its biggest one-day loss in over a week as escalating US-Sino trade tensions weighed on sentiment and demand outlook. Meanwhile, steel demand forecasts from WorldSteel have doubled for both 2018 and 2019, although trade tensions mean that industry risks remain. Finally, Chinese rebar futures pulled back from near-four-week highs, while analysts noted that steel prices in China will remain supported by the country’s resolve to reduce excess and outdated capacity. On today's calendar, we get September industrial production, capacity utilization and manufacturing production along with the October NAHB housing market index and August Jolts job openings and total net TIC flows. Away from data, the EU European Affairs ministers are expected to sign off on the draft of the Brexit summit conclusions and Italian Prime Minister Giuseppe Conte will address the lower house of parliament. Morgan Stanley, Goldman Sachs, Blackrock, Johnson & Johnson, IBM, CSX and Netflix will report earnings. 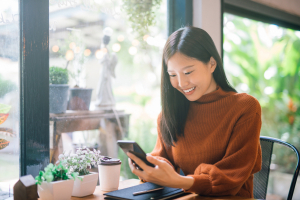 After the excitement of the last couple of weeks, yesterday was surprisingly quiet in markets leaving plenty of room for Brexit to be a focal point. After Sunday’s negativity on the state of progress between the two sides, UK PM May addressed the House of Commons for an update on where we stand. To be fair, she was relatively upbeat vs the tone of the prior 24 hours and was confident that progress was being made. Even French President Macron (a hardliner on Brexit) was relatively dovish on the state of talks when questioned yesterday. Not all hopes are seemingly lost ahead of this week’s EU leaders Brexit summit. However, as our economists laid out in a note yesterday, Mrs May is still trying to “solve the unsolvable” with regards to Northern Ireland. Without getting too bogged down in the technicals (feel free to read it in the note), the differences are over the backstop to the backstop and solving for the EU, the DUP, honouring the result of the referendum and the Conservative Party’s hard Brexiteers. In their note, our strategists believe that PM May will stretch the negotiation timeline to the limit in a bid to create maximum time pressure to pass a deal through Parliament. Nevertheless, they think that the market is underpricing the risk of a near-term political crisis - either a leadership challenge from Brexiteers or a breakdown in the DUP/Conservative political agreement. They argued last week that the market is pricing a minimal probability of a no deal outcome. While they still anticipate a deal being ratified by the UK parliament by year-end, the risk that they are wrong is greater than current market pricing suggests. Turning to yesterday’s market action, equities mostly retreated - despite the lack of substantive news - and retraced most of their Friday gains. 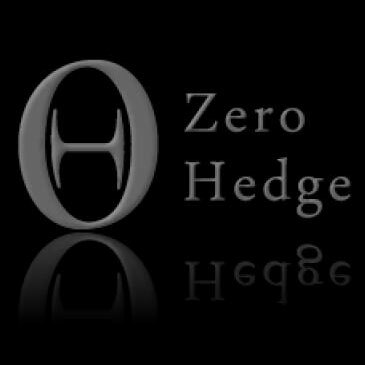 The S&P 500, DOW, and NASDAQ fell -0.59%, -0.35%, and -1.24%, respectively, as investors rotated into defensive sectors. US Consumer staples and utilities outperformed, gaining +0.60% and +0.35%, while cyclical sectors continued to underperform. Emerging markets in aggregate, which outperformed last week, fell -1.07% though EM FX continued its strong run, gaining +0.47% versus the dollar. European indexes mostly gained, with the Euro Stoxx index up +0.10%. The DAX (+0.78%) outperformed while the CAC (-0.02%) lagged behind. Italian equities gained +0.24%. Bond yields were little changed yesterday, with the 10y Treasury yield falling -0.9bps and the 10y Bund up +0.5bps. The US Treasury announced that the FY2018 budget came in at $779bn, its widest level since 2012, but marginally smaller than the CBO’s projections 6 months ago. Our rates strategists continue to expect a big increase in the deficit and in new Treasury issuance over the next two years. Italian spreads to bunds tightened -3.6bps ahead of their official budget decision. This morning in Asia markets are trading mixed with Nikkei (+0.23%) and Kospi (+0.04%) up while, Hang Seng (-0.23%) and Shanghai Comp (-0.15%) are down. 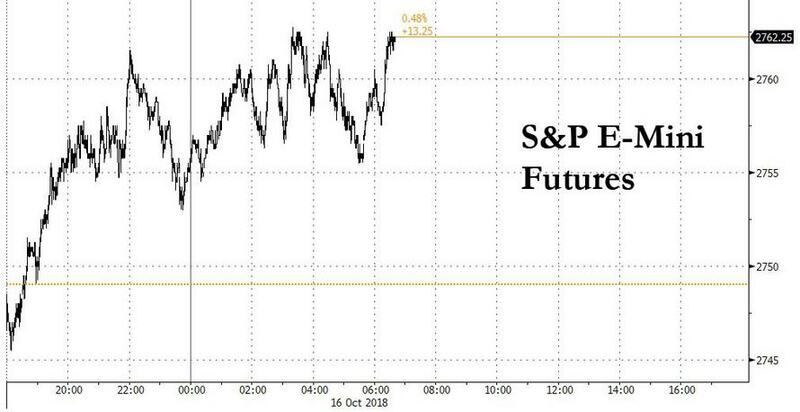 Elsewhere, futures on S&P 500 (+0.25%) are slightly higher. Overnight, China’s September CPI was in line with consensus at +2.5% yoy, the highest gain since February while PPI came in a shade higher than consensus at +3.6% yoy (vs. +3.5% yoy expected). Italy finalized their budget plan last night and submitted it to the European Commission, as expected. The rhetoric from politicians was mixed, with Prime Minister Conte trying to assuage market concerns by asserting that Italy is keeping its “accounts in order.” On the other end of the spectrum, Deputy Prime Minister Salvini said he does not feel bound by the EU deficit rules. This sets the stage for a confrontation between Rome and Brussels, as the European Commission can declare Italy’s budget as non-compliant and demand changes over the next two weeks. Our economists think this type of confrontation is likely, and will likely require some sort of market or political pressure to force Italian policymakers to change tack. As long as the financial stress remains confined to the BTP market, the Commission is unlikely to bend either. In other news, oil prices have spent the last 36 hours responding to the latest headlines from Saudi Arabia. In early trading yesterday prices were +1.85% higher as investors focused on the US-Saudi Arabia tensions related to the alleged murder of dissident journalist Khashoggi. Forwards on Saudi Arabia’s currency – which is pegged to the dollar – moved to price in a possible devaluation, as investors weighed the possibility that the US deploys sanctions against Saudi officials. Oil eventually retraced most of its gains (WTI oil prices closing +0.62%) as the US President didn’t escalate things further and suggested the Saudi king wasn’t involved. However, the US have said they are yet to decide whether to send a representative to the upcoming Saudi investment meeting. After the close, CNN reported that the Saudis were preparing to declare that the journalist died in a botched interrogation without official sanction. Oil is back up around 0.5% this morning. Economic data in the US was mixed yesterday, as headline September retail sales printed at 0.1% mom (versus 0.6% expected) and the control group printed at 0.5% mom (versus 0.4%). The control group is an input into the GDP print, so it’s a bit more impactful than the headline reading. Separately, the New York Fed’s October Empire Manufacturing survey – the first such survey for the fourth quarter – printed at 21.1 (versus 20.0). Its qualitative description of the economy was strong, though price pressures “edged down” on the month. Finally, Bank of America reported third quarter earnings, with slightly softer-than-expected net income as loans dropped a bit. The bank’s stock fell -1.35% on the session, underperforming the US banks index. Today, we see Italy's August industrial sales and final September CPI, the UK's September claimant count rate and the August employment report, the Euro area's August trade balance and October ZEW survey of expectations and, Germany's October ZEW current situation and expectations survey. In the US, we get September industrial production, capacity utilization and manufacturing production along with the October NAHB housing market index and August Jolts job openings and total net TIC flows. Away from data, the EU European Affairs ministers are expected to sign off on the draft of the Brexit summit conclusions and Italian Prime Minister Giuseppe Conte will address the lower house of parliament. Morgan Stanley, Goldman Sachs, Blackrock, Johnson & Johnson, IBM, CSX and Netflix will report earnings.